Readers of REVITALIZATION might remember that I (Storm Cunningham) keynoted the 2017 annual conference of the Michigan Association of Land Banks (MALB) in Battle Creek, Michigan. I also did both a keynote and a leadership workshop for the Kalamazoo County Land Bank, whose slogan is “Repurpose. Renew. Reconnect.”, which REVITALIZATION readers will recognize as the 3Re Strategy. Land banks were invented in Michigan, so that state has had the most time to refine and evolve the model. 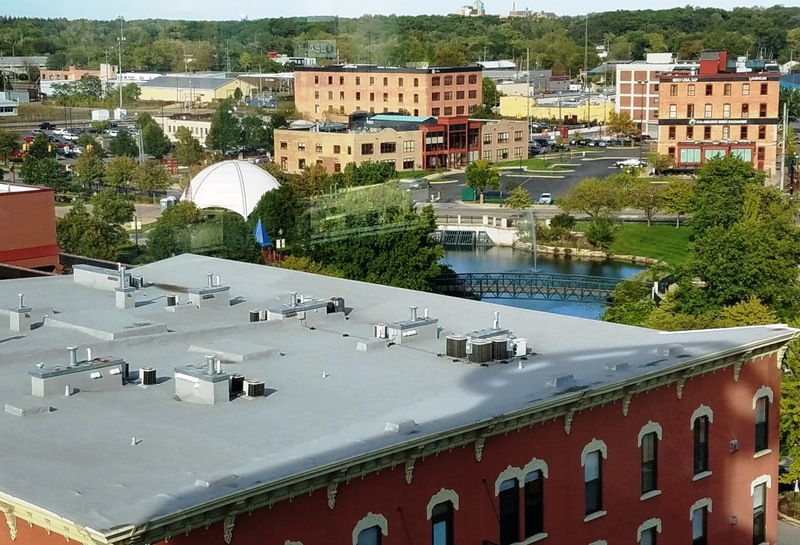 A good case could be made that the one in Kalamazoo is at the forefront of that evolution, but the one in Grand Rapids also seems to be highly innovative. A newly-released statewide economic impact study commissioned by MALB highlights the Kalamazoo County Land Bank as a case study. The study clearly demonstrates and quantifies the enormous economic impact land banks have on Michigan communities. Michigan’s land banks can now place a dollar value on the impact they have in their communities. Over the last nine years, the Kalamazoo County Land Bank has put nearly $20 million back into the local economy and created an estimated 270 full time jobs in construction, landscaping and related industries. This report validates what many have known for years: Land banks make a difference; they can be a key tool for benefiting families, neighborhoods and local communities. Michigan is a pioneer in the land bank movement and has remained at the forefront for more than a decade. Michigan isn’t just the Great Lakes State. It’s also the Great Land Bank State. Qualitative research collected direct land bank and stakeholder input about the impacts of land banks in Michigan. A state-level survey of Michigan’s land banks, focus groups and key informant interviews were performed. New and specific insight about the impact, benefit and challenges that land banks in Michigan face were identified. Overall, qualitative results strongly corroborate the results of the quantitative research. Qualitative findings suggest that land banks provide numerous benefits to their surrounding communities: they reduce crime, increase property values, and revitalize neighborhoods. Holding property for future development initiatives. Where the land bank is and how it is active in the community. Land bank tools were designed and have been implemented in the wake of economic decline, and have thus allowed acquisition by default of large volumes of distressed and unproductive land. These properties have significant value in the long-term assuming eventual economic growth. As the economy grows and becomes stronger these currently unproductive properties will regain value and become strategic assets that the land bank holds ownership of. Future research would be wise to consider land banks in this light—as a strategic public institution with significant assets that can be leveraged for revitalization and growth. This result is already beginning to show itself through legitimate economic development and growth in Kalamazoo County. When economies begin to improve and the dial shifts from activity focused on addressing decline to activity leveraging valuable land assets to improve the tax base, a new conversation emerges that puts land banks at the center of a critical economic revitalization movement. 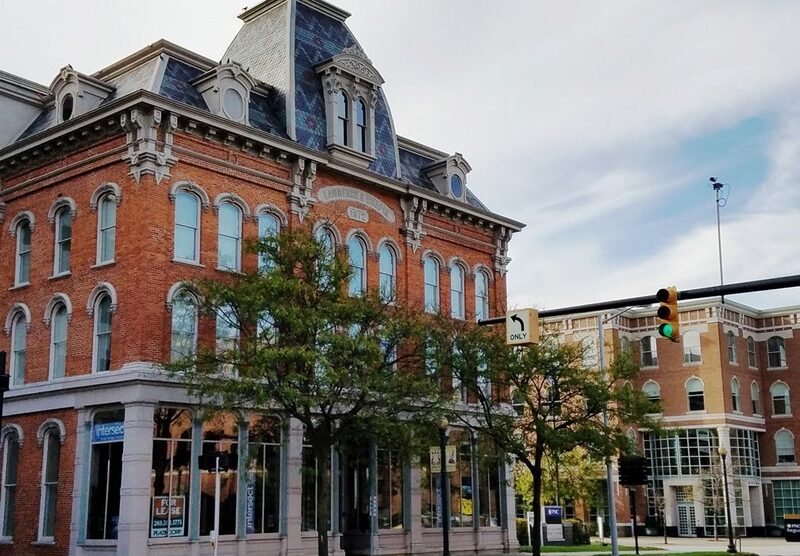 Featured photo of historic building in downtown Kalamazoo by Storm Cunningham. See Michigan Association of Land Banks website. See Kalamazoo County Land Bank website.